For Easter I’m going to Jonkoping to visit my parents, while I’m there I’ll visit the new exhibit at Jonkoping county museum on Jonkoping’s history. I’m somewhat excited; Jonkoping County Museum (JLM) has done several interesting excavations on remains dating to the 17th and 18th century and will be interesting to see what those excavations have brought to the exhibit. “Downtown” Jonkoping was moved during the 17th century east of the mediaeval centre due to political factors. Jonkoping was probably established as a town during the 12th or 13th century, the oldest papers that name Jonkoping a city is dated to 1284 AD, and will probably be on display as well. Not much of the medieval Jonkoping has survived until today, at least not above ground. During later years a few excavations in the medieval part of the town has been made so there might also be some “new” finds from them. There has been two castles in Jonkoping, the first is mentioned in texts from the 13th and 14th century and the later was build ca 1600 AD. No visible remains of the castle are left, though JLM has opened a few trenches and found parts of walls etc. If I’ve understood it right part of the exhibit concerns the castle. Once upon a time several Bronze Age cairns was about, most famous is perhaps the Sagaholm mound, as far as I know all are gone – most since the turn of the 20th century – some were excavated, as the Sagaholm mound and revealed interesting finds; among them several curbstones with carved images, no unlike the Kivik cairn. In addition to this, I have a bag of books / reports that await me and my local book dealer also has a box or two with interesting new acquisitions. It’s a risk of my being broke before leaving Jonkoping this weekend. The week after Easter I’ll go to Halland County and an archaeological investigation for a wind farm and then it’s off to Kronoberg County, where two preliminary archaeological investigations are to be performed. The field season is finally ongoing – spring is really here! Finally spring seems to have gotten a grip on Scandinavia – the snow is slowly melting, the sun shows its warm face and shines upon us, at least occasionally; the darkness that have had a far too long run this year is withering. Another sure sign is that one begins to plan for field work; as it seems now it’ll start just after Easter for me, from there on it’ll be a few weeks in the southern parts of Sweden – which is perfect as I probably will be able to catch Jonkoping Sodra first home game against Angelholm in Superettan (football (soccer) Sweden’s second division) April 20th. Regarding the field work – I’ll let you know when I know for certain – but there seems to start with a survey and continue with a couple of archaeological investigations. Though I have a lot of things to finish before that, I have an article that needs to be finished about Yangshao for the paper Kinarapport (China report) a report that needs to be finished for the Yangshaoproject, a small article for Benbiten the Swedish Osteological associations periodical – b.t.w. if you have an article on osteology, physical anthropology or an interesting find due to something bone connected as graves, settlements etc. you´re very welcome to contribute (for more information see here). We gladly accept articles in English as well as Swedish. 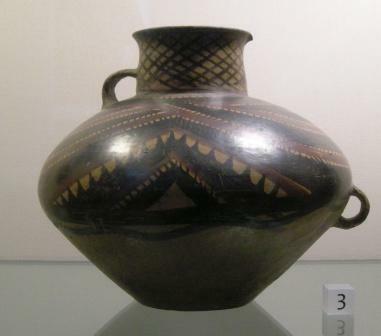 I’ve also need to prepare for a lecture that my associate Johan Klange and I are to hold in Savona, Italy, later this spring about Chinese neolithic painted pottery traditions in the Yellow river valley. On another note I found some nice prints to hang on my walls here in Ostersund, they been a bit naked. 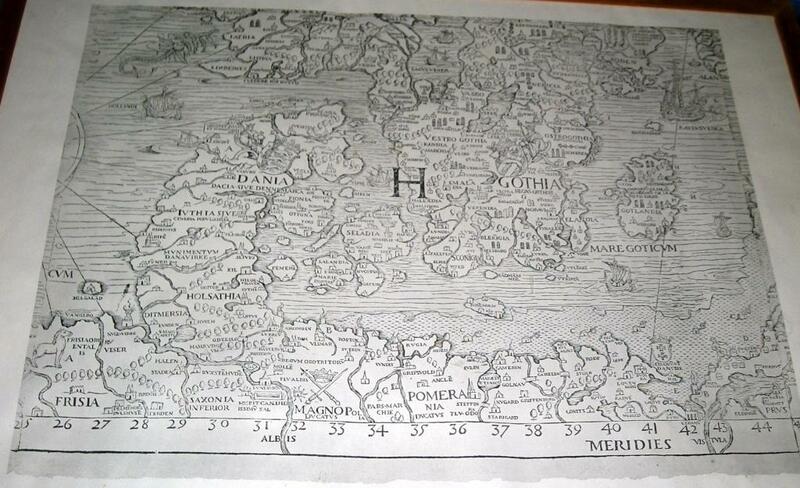 6 of 9 reprints of Charta Marina aka Charta Gothica by Olaus Magnus (1497-1557). The original was made in 1539 and copies of that in 1572. This reprint is presumably from sometime during the 20th century – the frames are hideous but the maps fantastic. Now up and running at Ciarán Brewster of Ad Hominin is the 88th ed of the blog carnival Four Stone Hearth, check it out! I love the blog carnival format; you get presented with a lot of good and interesting reading, some on subjects that you might have found anyways and some on subjects and blogs that you never would have looked up otherwise. As always the topics tends to cover a lot of ground in this edition there are subjects covering brooches of Vendel Period in Scandinavia, Siberian languages, Ida the lemur, Coca Cola’s over-exploitation of water resources in India and lots more. Another way of finding blogs on the subject of anthropology is sites that make different kinds of listings on blogs concerning anthropology, archaeology or such. Testimony of the spade is included on some such lists such as Online Degrees.net, who have posted a 100 best blogs for anthropology students (se number 60), radiologytechnicianschools.net who posted 50 best blogs for archaeology students and invesp blog ranks Top 25 Anthropology blogs, this is a collection of blogs listed based on their popularity via X number of factors. These sites and others is a good way to find a way to the anthropologic blogosphere and some great blogs on the subject. A few months back I visited Provence, most of the time was spent working but there were also room for some excursions. 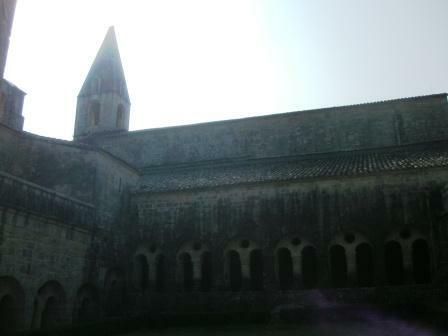 One of the places we visited was the Cistercian abbey Le Thoronet. If you happen to pass by, make a stop it’s worth it. 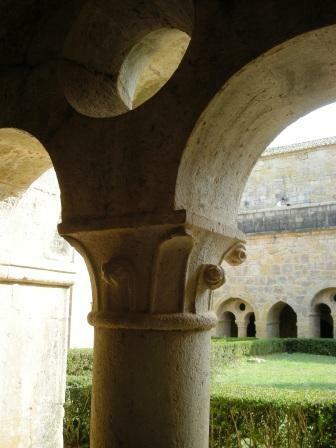 The Order of Cistercians is a Roman Catholic religious order of enclosed monks. 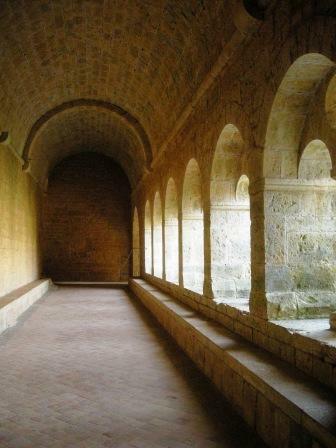 The Cistercian way of life is that of simplicity, manual labour and self-sufficiency. 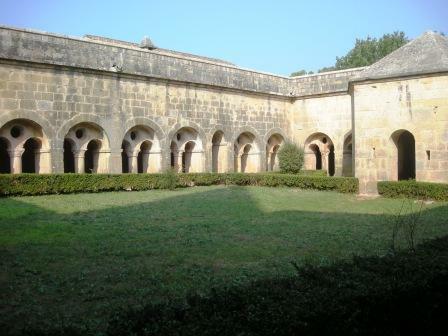 It was founded in 1098 AD as branch within the order of the Benedictines by Robert from Molesmes and 12 other monks. When Bernhard Clairvaux entered the picture in 1112 it started to spread, when he died, 1153, the order had more than 280 convents. 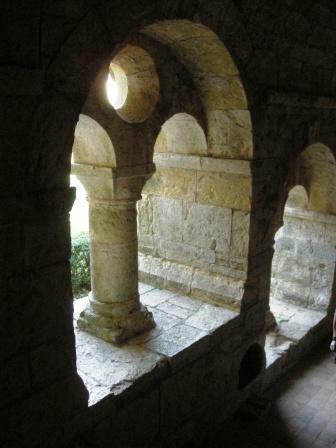 Most medieval abbeys in Sweden were Cistercians; today most of them can be seen as ruins. 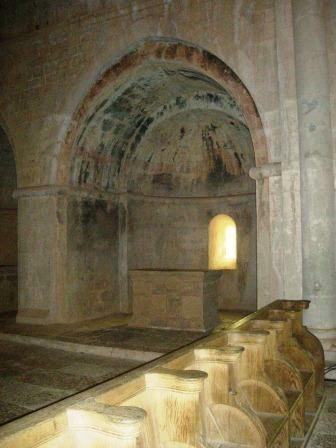 Among others Alvastra monastery (1143), Nydala monastery (1143), Varnhem monastery (1150), Roma monastery (1164) etc. 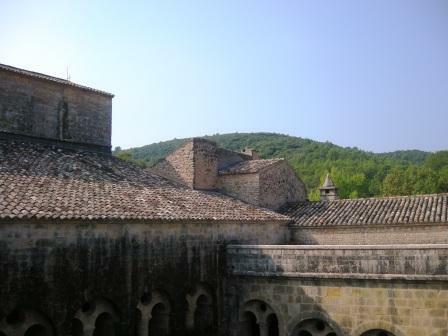 there was also nunneries such as Vreta monastery (build as a benediction monastery ca 1100 AD and transformed into a Cistercians monastery ca 1160, Gudhem (1175), Sko kloster (monastery) (1220) etc. Today these ruins are beautiful scenic spots – but as place such as Le Thoronet is like walking into a model that translated the ruins into what it most probably look like once. The Yangshao project (me and my associate Johan Klange) went to London on Thursday and returned late last night for a conference with MAP (Museo Arti Primarie aka. 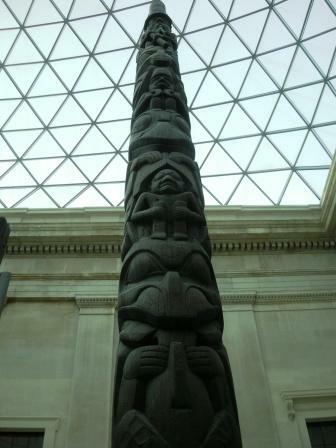 the Museum of Primary Arts) at the British museum. 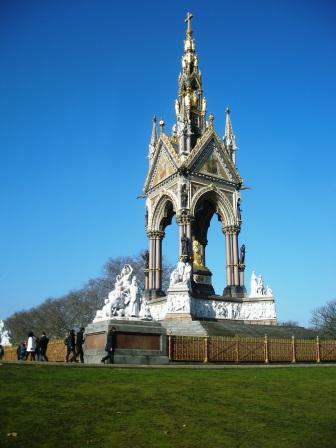 The trip to London went well, the weather was fine and the sun was shining most of the time so we walked a lot and enjoyed the London spring. It was a bit hard to return to ca – 5º c and several dm of snow. While walking about we visited the V & A (Victorian & Albert) museum, Natural History Museum and managed to get a quick look at some of the exhibits at British Museum. On Friday afternoon we enjoyed the conference or rather the art performances of – and press conference about MAP. Afterwards we had a constructive meeting discussing the different painted pottery traditions that often are clustered as the Yangshao culture and discussing the future, more about that in a later post. They also did an interview with us on camera that will be available on their webpage sometime in the future. Well, home again and now begins the work of putting something together for the next step for the project a meeting in Savona, Italy, with MAP where we’ll hold a short seminar/lecture on the Yangshao period. Today we’re off to London, but first a brief visit to the Museum of Far Eastern Antiquities in Stockholm, then it’s off to the airport and London. In London we’ll attend the conference held by MAP (Museum of Primary Arts) in the Raymond and Bevery Sackler Rooms at British Museum, more information in this event is available at the Italian Cultural Institute in London. It has taken me a little longer than planed but here comes the notes the from the final three (6-9) seminars held at “Archeology in Stockholm County 2009” at the County Administrative Board of Stockholm 2010. Link to part one and two. At the moment a status report on marine archaeological investigations is being compiled. 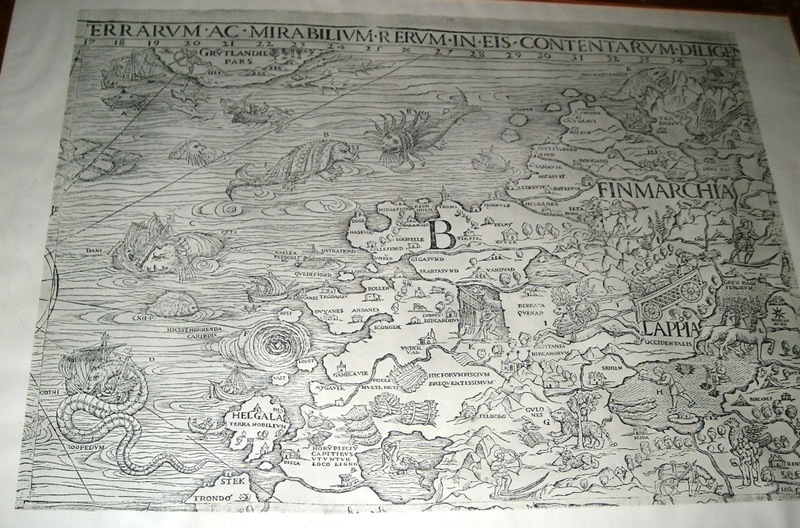 Since the 17th century it has been known, and marked on maps, that there are construction under the water outside of Birka’s black earth (i.e. the area where the city once was). Traditionally these have been interpreted as a barrier of posts with the intent of controlling the boat traffic outside of Birka. There are a lot of finds that are showing a different story; there are remains of piers, posts and stone coffins, outside the black earth as well as outside of other places around the island. On some posts are features of construction that is more like those found at Bulverket on Gotland and at Hedeby (Haithabu). This indicates a more complex pattern than a just barriers, such as large bridges, poles where ships had to wait or anchor outside of the harbour; Who had access to the port of Birka? Who were using the ports outside of the town?, etc. In 2008 test excavations under water outside of Birka’s black earth were carried out. These showed cultural layers that are about 1 meter thick, in which they find animal bones (carcass residues or waste food? ), wood chips, sawdust, plugs, dowels, construction details for boats such as a keel to a Viking Age ship, tools and residues of rope. There is evidence to suggest that the keel never been used, but perhaps manufactured in or imported to Birka for a ship that never was built, or to be sold off to a ship builder etc. Later this spring the compiling report and suggestions for future research will be put forth. This particular boat grave has been more or less lost in the literature and therefore Sten Tesch found it interesting to bring it fourth again. The results of this project will be presented more in detail at a seminar in Uppsala on 8 April. The boat burial was found during the excavation of the grave field and settlement Turinge 165:1 in1972. The Grave field contained 69 graves including 23 fire graves, 36 skeleton grave, ten empty burials and 30 children’s graves. The children’s graves were small rectangular burial pits, in these no bones were preserved. At the grave field was also cairns with chippings stone/fire cracked stones. The graves had few finds besides the bones and the preservation conditions were poor. The woman buried (tooth enamel) in this boat grave was buried together with a horse skull, parts of a bridle, oval-shaped twin-brooches, circular pendants, a knife, etc. She was laid on a bed of grass and straw and the entire tomb was covered with birch bark. The boat is a distended and elevated log boat, which is a common type of in boat burials, with 5 frames and 3 rowing pairs. It’s been ca 7.5 m long and 1,2-1,4 m wide. Of the wood only residue was to be found and then ca 250 boat nails. Annika Larsson has studied the textile fragments found on the oval-shaped twin-brooches. Among other things, she interprets that oval-shaped twin-brooches been placed on top of the breasts rather than on the clavicles, and therefore held up an open dress, and thus probably had a more of a ceremonial role. 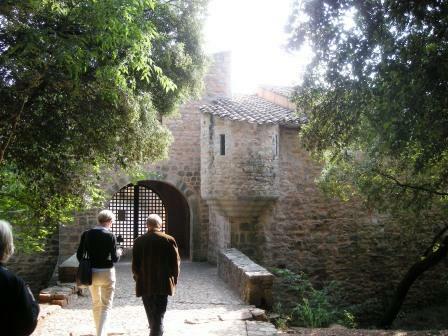 A research excavation was carried out on the remains of the Sigtuna Dominican convent in 2009, founded by a private donation. 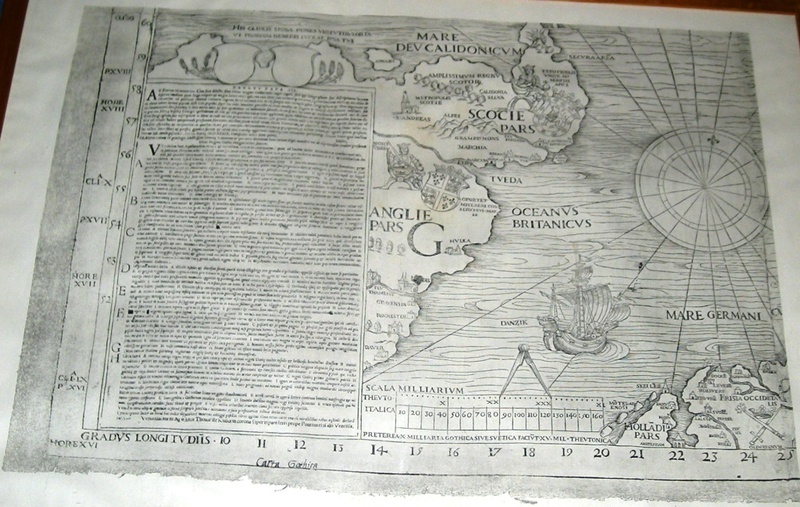 The excavation was preceded by an exploration of geo radar. 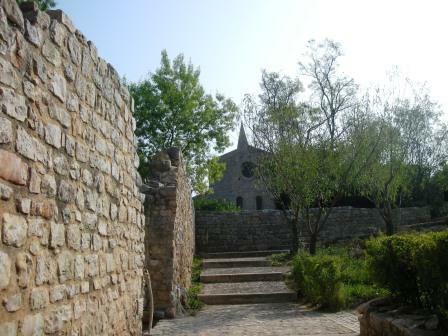 The Convent was founded in 1237 adjacent to St Mary’s Church that was opened in 1247. The Convent is one of 11 brethren convents in Sweden, there were also two sister convents. The Convent was demolished in 1529 in connection with the Swedish reformation. Geographically the convent was situated in the northeast part of Sigtuna. 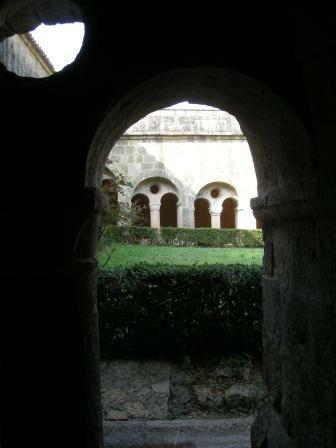 The Convent has been partly excavated on several occasions, the first carried out in 1890’s, however no excavation have been in the Convents internal parts. 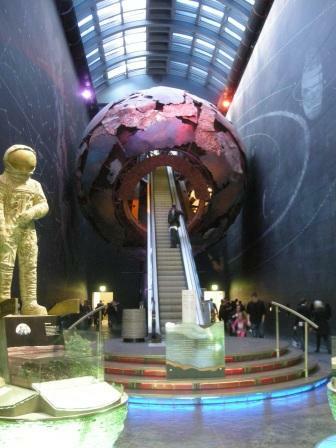 To ensure that the excavation would have the best possible outcome it was decided to prospect the area with Geo radar. Anders Wiberg from AFL carried out the prospection and the results were pleasing – a clear picture of the walls below ground level emerged though some areas were problematic, probably due landfills and previous work. Among other things the prospection showed a previously unknown labatorie. 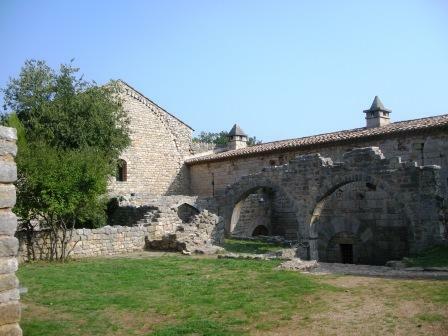 Based on the prospection, it was decided to excavate the area around the labatorie and the adjacent southern wall, dating to ca 1300. 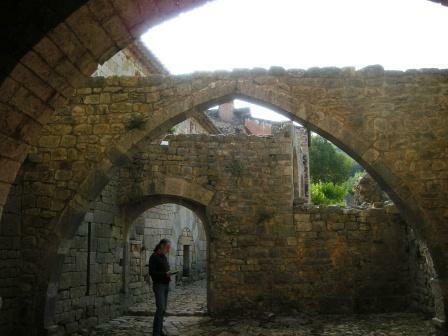 During the excavation they found older walls showing a previous building phase. 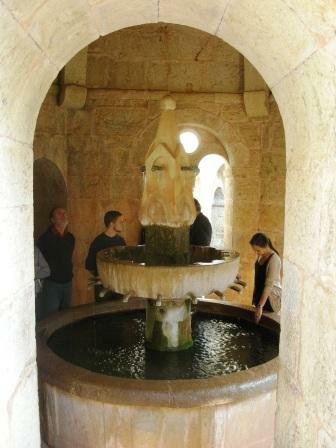 – The prospection may be regarded as very successful and demonstrates the value of such methods, however, the project also shows that one can not remove excavations from the equation. John Wendesjö, Stockholm city museum, was unfortunately sick so there was no seminar on the excavations at Spånga church – a completed project by. These seminar type of gatherings arranged by County administrative boards for archaeologists working within the county, and sometimes as in Stockholm also open for others, is becoming more common and is a great way of meeting colleges and getting the big picture of what is and has been going on within the County. This year the seminars in Stockholm had a profile lingering more towards research excavations than assignment archaeology, which is great, but I missed a section of discussion on what the County board believes can be better – how we as assignment archaeologist can be better and how they as can be better; methods, applications, reports etc. I.e. a forum for ideas for the future. Anyhow – a great work by the County administrative board – many thanks!